Can viruses or malware infect your mobile phone? The short answer is YES, absolutely, and do not let anyone tell you otherwise! The detailed answer is that while Android smartphones or tablets can not receive viruses, they do however have other forms of malware - especially if you accidentally install untrusted apps. 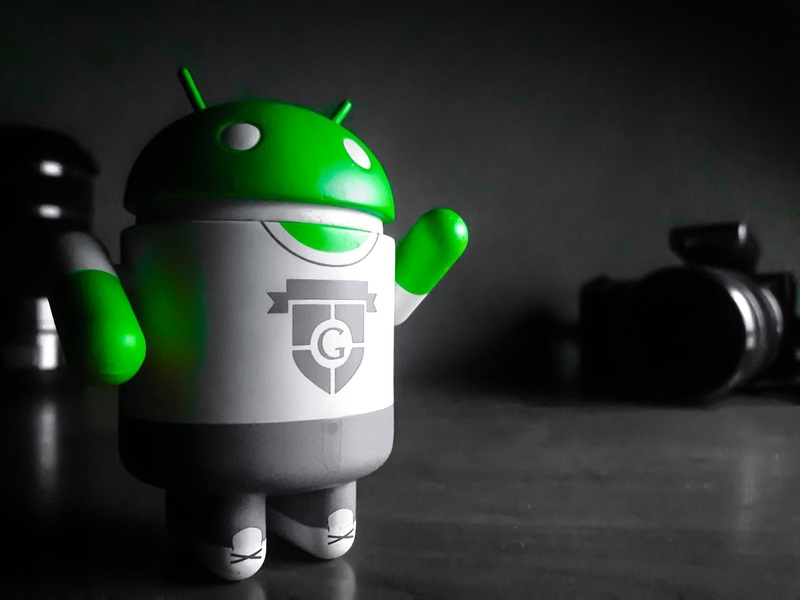 Installing APK on your device reports several benefits. However, they have a clear disadvantage. They can bring viruses, and there is no way to know. Well, at least that's what many believe. The truth is that there are ways to scan APK files to make sure they do not have a virus. Let's learn how it is done next. How can I check the APK file for viruses and vulnerabilities? There are several tools you can use to make sure that the APK file you have downloaded does not have a virus. And the practical way to do this is to scan the APK file using online services. The advantages of these methods are many and the most important of which is that such sites check the presence of a virus in many applications on the database. In addition, these services display the contents of the APK file and show the application's behavior during the installation: the permissions (permissions that the application requires) and the modification of other system parameters. Plus, these online tools can also check how vulnerable the application is. We will talk about this method in today's article. But first, let us briefly discuss what the APK archive actually represents and what is the most stupid way of scanning the APK file. Files of this format are not encrypted, they are a subset of the ZIP archive format. Files with this extension are stored in application stores (for example, Google Play, MI AppStore, Amazon AppStore, Aptoide, etc. ), and are downloaded to the mobile device for their use, or manually installed by the user. Installing APK files from third-party sources can be a big risk: many sites distribute the hacked versions of popular paid programs and games in the form of APK files for free, adding malicious functions such as sending paid SMS, Trojan virus monitoring the user, etc. Stupid way of scanning the APK file. A stupid way to test an application is scanning by Anti-Virus during installation on a mobile device. This is probably the worst way. Not only because it makes it necessary for us to install a dubious application first thereby exposing the system to danger. But also because the verification and scanning occur with only one antivirus program. And as you know there is no 1-ideal antivirus program. If a malicious application has not yet been added to the database of your favorite antivirus, to which you blindly rely on, then it will not react in any way at the time of scanning your file. 1. Metadefender - This website specializes in scanning files for viruses. So, before installing the APK on your device, passing it through this online tool would be an excellent idea. It uses several antivirus engines to make sure that the APK is safe and does not have a malware. The maximum size that it accepts is up to 140 MB. To use it, just click on Select a file and choose the APK file you want to scan. 2. NVISIO APK Scan - Specifically designed to scan APK, NVISIO is one of the best online tools for this purpose. One of the main advantages is that it does not impose a file size limit so you can upload the APK of whatever size without worries. Of course, the heavier your file will be the longer the scan will take. You have the option to enter your email address so that you can be notified by mail with the result of the scan when it gets finished. 3. VirusTotal - Another alternative to the two websites above is VirusTotal. To scan your file, simply upload it on the site interface and wait for the scan results. The site will then scan your APK file with numerous antiviruses databases. If the APK shows a high number of detections you can doubt its goodness and avoid installing the file to your smartphone. You can load the APK on VirusTotal directly from a PC, using any web browser. The only downside to using this service is its file size limit, which reaches a maximum of 128 MB (really high as a limit for most applications, but not enough for some games). 4. SandDroid - This service performs static and dynamic analysis and generates a complete report. You can upload an APK file or a ZIP archive with a size not exceeding 50 MB. 5. AndroTotal - As you can guess by the name, AndroTotal is only suitable for working with applications on Android. It checks the APK file for viruses and malicious code. 6. AVC UnDroid - AVC UnDroid is a fairly new free online tool for analyzing malicious applications. An unregistered user can add an APK file no larger than 7MB. After free registration, this restriction is removed. You can then comment on files sent to scan and view scan statistics. Checking the files online at times reduces the risk of infection of the operating system. The same applies to mobile applications. Therefore, if you have not used similar services, you should get yourself a habit and start to do it systematically.